That’s the way it’s supposed to work. Dominant pitching from Luis Castillo. Hitting up and down the lineup. Sure, the Brewers were without Ryan Braun (back), Christian Yelich (DL oblique), Eric Thames (groin), their starting catcher (DL calf) and backup catcher (DL shoulder). But even if all those guys were healthy, it wouldn’t have helped tonight. The 8-game losing streak is dead. Castillo helped the Reds from the batter’s box in the 6th inning by smacking a single down the first base line driving in the Reds 5th run. It was Castillo’s third hit in 2018. The 25-year-old had two hits in 2017. Adam DuvallÃ‚Â is heating up. He had a double and homer yesterday and was three for five tonight with two doubles. Duvall has raised his OPS from .449 to .686 since Friday. 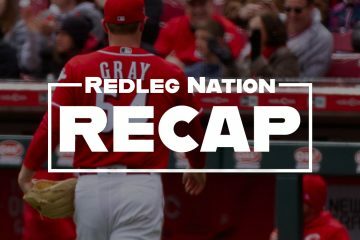 Mark Sheldon filed a report as the game started with the following news: (1) Amir Garrett will remain in the Reds bullpen for the foreseeable future, (2) Jesse Winker, who is nursing a sore shoulder, took batting practice today for the first time in a while, and (3) Scott Schebler was shipped to AA-Pensacola to continue his rehab. Give the kid 30 starts . He’s a nice young pitcher. Tomorrow morning is a perfect time for a write up on Duvall has been struggling. Looks like I am a few days late. Listened to the game in its entirety. The Brewers were missing lots of their good players, but then again so were our Redlegs. This is a good time to play them, and I hope the team continues to take advantage of things. The run production and timely hitting was good to see. Gennett: Played really well tonight. Maybe wanting to make an impression on his old team? Billy Hamilton: Nice to see him contribute the way he did tonight, both in the field and at the plate. Marty & the Cowboy: Tonight I learned that The Cowboy used to have a CB radio back in the day. Now I’m envisioning “Marty & the Cowboy” as an hour long ’70s action series about the two of them makin’ long hauls all over Reds Country while evading crooked cops. There would be plenty of bar fights. During these altercations, their signature move would be for the Cowboy to slam a chair over some biker’s head, after which Marty would kick him in the nuts for the coup de grace. Would they be enlisting Joey to help out riding his horse “Nibbles” and wearing his Royal Canadien Mountie uniform? Sometimes a change of scenery helps. Who knows what advice TC was receiving here. Sometimes the same advise from a different source is better received. I had to dig for that Cingrani piece and see his stats. ItÃ¢â‚¬â„¢s amazing what can happen when you fix a playerÃ¢â‚¬â„¢s approach from analytics, rather than fix their mechanics. If IÃ¢â‚¬â„¢m the Reds, IÃ¢â‚¬â„¢m reading this and seriously reevaluating my analytics department and how much spend is going there. Huge oversight by them to miss something like this especially since hard throwing lefties are so coveted. 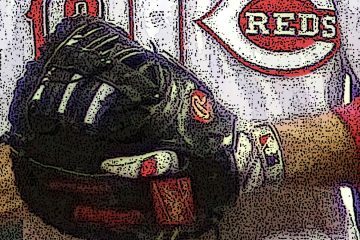 Interesting article that lends more credence to my belief that Reds pitchers overuse the fastball. Reed (and Stephenson and Romano and Finnegan….) all have spotty command. 18 of 22 HR’s allowed were from fastballs. There’s no shame in pitching backwards. It’s no more right to ‘command the fastball first’ if you can’t throw your offspeed pitches for strikes than it is to do the opposite, yet all you hear from Price is fastball command……one size fits all. So it is becoming evident that Price is not only a bad manager, but he is really not a very good pitching coach either. Thanks for digging that up. Makes me really sad about where the Reds are at with pitcher development, but very consistent with the problems we continue to see. So, sit fastball, watch it go over the fence. Yup, I think teams have that figured out. Good for the Dodgers. Shame on the Reds. It really irritates me that someone else’s coaches taught Cingrani how to pitch better. Flat out, they said, throw your slider more, and relocate your fastball. That was a great play by Gosselin. Man, It feels great to have a victory. Reed should have picked up Castillo, but I guess he still is not ready. Votto had some encouraging AB’s. Duvall finally. Scooter had a good game in the field. Nice Win. Very true about Reed but at least he was used with the appropriate margin and then pulled before giving it away. Progress. Now the job is to learn to do this again and again and……..
Why wasn’t Tucker bunting in the second when Ervin doubled? Marty in a bar fight and being able to walk away from it; talk about fiction! Real life played out with Thom when it happened up in Chicago. I am a Cody Reed apologist. Tall lefties take time, and patience will be rewarded. But he ought to be in AAA as a starter. And I expect them to do that, as David Hernandez or Shackelford returns from the DL. A few weeks of limited use in Cincinnati won’t hurt Reed, but he needs another 15 starts in AAA. I’m with you, Big Ed. Me too. Watch Brad Hand in San Diego and tell me the two pitchers aren’t that different. I would argue he needs to throw his slider much more frequently. Encouraging start by Castillo last night. Something I believe Luis will build on. Cody Reed needs to be demoted to Louisville & used in the Bats rotation. He’s not helping himself or the Reds in his current role with the team. On another note, I don’t think Scooter Gennett got the memo that he was bound to regress offensively this season. No HR yet, but he’s using the whole field & making good contact. I’m not so sure the Reds are surging but it was a break-through win with good pitching, hitting and defense. Go read the Sheldon piece, and then bang your head against a wall. 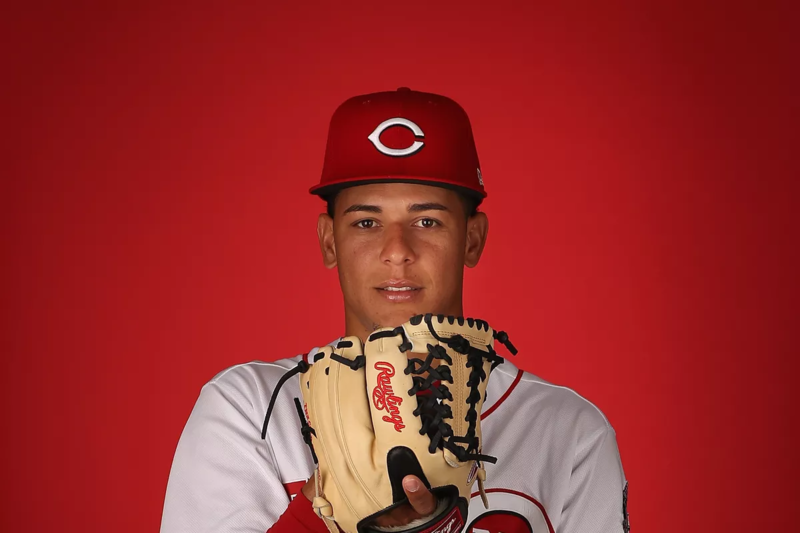 Given his age, (in)experience, and option status, and the Reds playing for 2019 and beyond, keeping a young potential LH starter in the bullpen for the reasons Price gives is Organiztional Malpractice. I don’t blame Price; this is on the GM for not placing Garrett’s development as a starter over Price’s myopic short term considerations. It’s really unbelievable. They only have 4 total lefties on the 40-man roster: Finnegan, Reed, Garrett and Peralta. They have 21 RH pitchers, including Desclafani and Rookie Davis, both on the 60-day DL. No lefties on the horizon in AA or AAA, either. Poor roster management by the front office. Young, cost controlled starting pitching is the most valuable commodity in baseball. Not developing it when there’s a decent chance a guy can become a starting pitcher is crazy. Doing it to fill out your bullpen in a year you never planned to compete for a WS title is something beyond crazy. Although Nicolino is not on the 40 man roster (he cleared waivers & was out-righted to Louisville), he’s a serviceable lefty reliever whom the Reds are converting back into a starter. Go figure. Nicolino has been primarily a starter. He has started 33 of his 50 MLB games, and 140 of his 149 minor league games. But from his stats, he appears to be a soft-tossing lefty who would seem to be fitted to relief, even as a LOOGY. He had better K/9 in 2016-17 in AAA against LH hitters than RH, for example. They may be giving Nicolino some starts in Louisville, just to see what they have. More likely, though, they’ve ineptly decided to make Garrett a reliever, regardless. Oh, and on that Braun pinch hit in the 9th: first, great play by Scooter. (I knock his defense all the time, but he had a really good night.) Second, I’m glad it went the Reds way, especially against that cheating lying weasel. But I watched both the Reds and the Brewers feeds, and there is no way there was “incontrovertible” evidence to overturn the play. It’s another example of replay being used the wrong way, and it hurts the game. agreed, instant replay is hurting all sports. I hate that baseball is using it. Hamilton by my accounting has an OBP of .386 in his last 11 games. The Reds can live with that. They get Schebler and Winker back in the next day or two. Suarez is ahead of schedule. Votto actually looked like Joey Votto yesterday. Duvall and Ervin both got off the interstate last night. And it warms up, at last. Maybe they will be better than the ’62 Mets, after all. Ervin definitely looked better against the lefty than he has vs. rightys this season. Since the Billy/Peraza 1-2 in the lineup, Peraza has swung (and grounded out twice) at the 1st pitch when Billy was on 1st. Why isn’t this addressed? Just another reason for Price to go. Billy doesn’t have that many offensive strengths, let’s not negate his best one. Not only does Peraza not have the baseball smarts to know this on his own, but evidently the coaches don’t care that he is doing it. Excellent points. Peraza’s approach is so one dimensional that it shocks when he pulls a ball with authority. I don’t think it was a coincidence that Billy had his best game against a soft tossing pitcher. That’s his hitting speed. Eventually one of these two have to get benched, but for a night it was fun to watch. I would trade Duvall, Gennett, Iglesias, Lorenzen, Hamilton, and Mesoraco this summer and get what I can for them. The next winning Reds team will probably not have any of these guys on the roster. Can we talk about how bad Thom is as a color commentator? He couldnÃ¢â‚¬â„¢t decide what inning it was or how many runs the Reds scored during their rally tonight, saying Ã¢â‚¬Å“7 run 7thÃ¢â‚¬Â and Ã¢â‚¬Å“6 run 6thÃ¢â‚¬Â at two seperate times. He says dumb crap like this every. night. Between the shouting, the poor analysis, the general lack of understanding of baseball, the favorites/whipping boys, the sentences that loop and wander and often lose the plot, the errors, and his seeming boredom with his job, it’s always a relief when THOM! isn’t in the booth. In your examples, at least he was talking about the baseball game.. That cracked me up, because of how sadly true it is. You pretty much nailed the description perfectly there Eric. I can’t think of a fan-base that dislikes an announcer as much as the Reds do THOM! Luckily MLB extra innings usually on show the home team’s feed, so I only get half the exposure. I was peaking on Gameday during the 6 run inning. And during Peraza’s at-bat, I honestly thought the app had malfunctioned when it showed a ball bouncing in the opposite batter’s box as a strike. He redeemed himself though.